Volkswagen's legal woes just got even worse. German prosecutors have expanded an investigation into the auto giant's emissions cheating scandal to include its chairman, Hans Dieter Potsch. 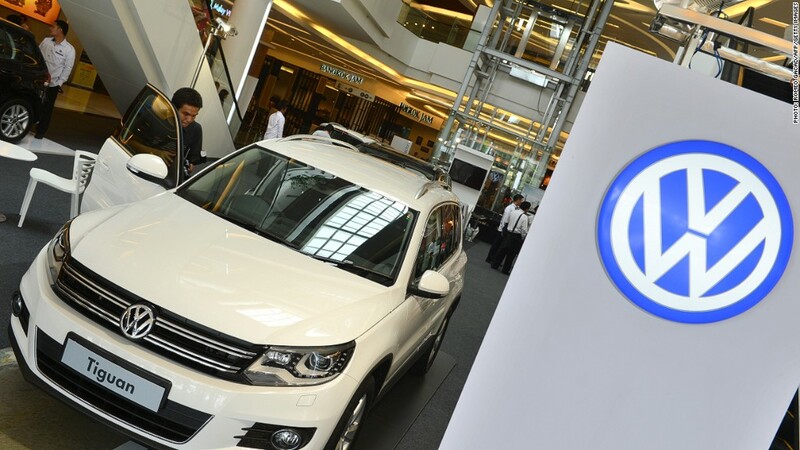 Potsch was Volkswagen (VLKAF)'s chief financial officer when the scandal erupted late last year. He became chairman soon afterward. The German carmaker has admitted that it fitted as many as 11 million diesel vehicles worldwide with software that could cheat nitrogen oxide emissions tests. But it only came forward after the U.S. Environmental Protection Agency alerted the world to the issue. About 40% of the company's market value was wiped out when the scandal broke. In June, German prosecutors said they were investigating former Volkswagen CEO Martin Winterkorn on suspicion of manipulating the market in the company's shares. They said they were probing claims that the company should have come clean sooner about the possible financial costs of the scandal. Now Potsch and another supervisory board member, who was not identified by name, are also under scrutiny in the investigation, Volkswagen said in a statement Sunday. "The company reaffirms its belief that the Volkswagen board of management duly fulfilled its disclosure obligation under German capital markets law," it said, adding that Potsch and the automaker "will continue to give the inquiries by the public prosecutor's office their full support." The German probe is just one of several legal headaches facing the carmaker, which reached a $14.7 billion settlement with U.S. authorities in June. Investors are demanding more than $9 billion in damages for the losses they sustained as a result of the scandal. The affected Volkswagen cars had software installed that strictly limited emissions when the cars were being tested, then dumped up to 40 times the allowable levels of some pollutants when on the road.